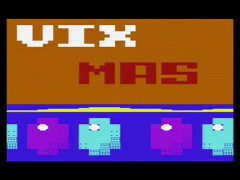 Vixmas 2018 is a new demo for the Commodore VIC20. The demo is made by Leuat (code & grafix), Warlord (music), Arlequin (fonts) and Majikeyric (help). Innuh's pyramid is a new game for the Commodore VIC20. The game is developed by A. Torrelli, M. Severi and D. Bucci. In this text adventure you must find the hidden treasures inside the pyramid of Innuh. 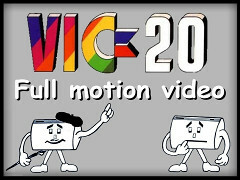 Victragic has developed a new game for the Commodore VIC20. 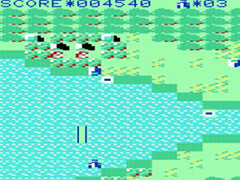 In the game you ride a motorcycle over many obstacles. You can collect extra point by popping the balloons. 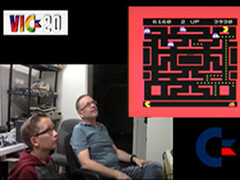 DarwinNE has developed a new game for the Commodore VIC20. 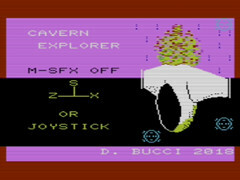 In the game you fly a spaceship through the caverns on planet Zorf. You must collect the rings and avoid the deadly slime. DarwinNE released a new game for the Commodore VIC20. 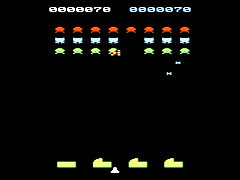 The game Alien Invasion is an Arcade game and can be played on an unexpanded VIC20, PAL or NTSC. Runner is a new game for the Commodore VIC20. 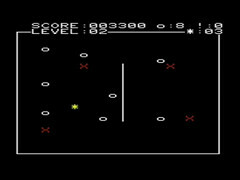 The game is developed by Rainer Kappler and can be played on an un-expanded VIC20. In the game you must reach the end of the road and avoid the obstacles. Snakesss & Laddders is a new game for the Commodore VIC20. The game is made by vicist and is a puzzle game written in Basic. 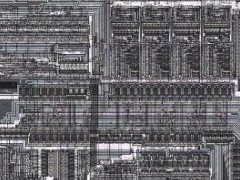 You will need a 8 KByte RAM expansion to play the game. 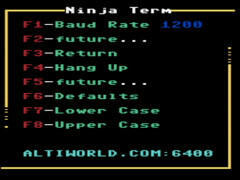 This is a small preview of a new game for the Commodore VIC20. 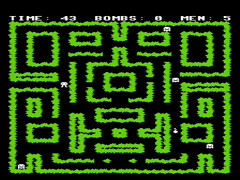 Exit Plan Z II EX is a new game for the Commodore VIC20. The game is developed by R'zo. In the game you must avoid the zombies, get the key and make your way to the door for the next level. 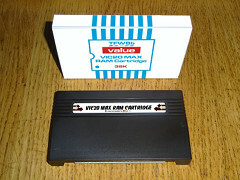 Tynemouth Software has developed a new RAM cartridge for the Commodore VIC20. 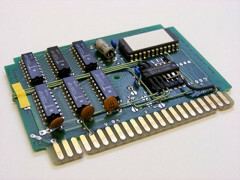 The configuration is possible via a menu with 3, 8, 16, 24, 27, 32 or 35 KByte of RAM. 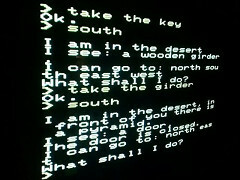 Escape is a new game for the Commodore VIC20 made by Rainer Kappler. In the game you must escape, but do not collide with the walls or the enemy ship. The 8-Bit Guy made a video about cleaning and repairing a Commodore VIC20 computer. 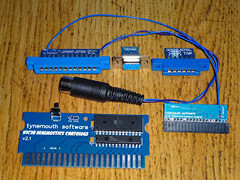 Tynemouth Software has developed a diagnose system to test a Commodore VIC-20. You can choose between a standard diagnostic cartridge or a combination of a diagnostic cartridge and a 27K or 32K ROM/RAM board. Chinese Patience is a new game for the Commodore VIC20 developed by Vicist. 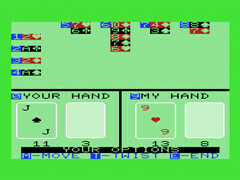 The game is a classic card game, similar to Klondike. The game requires a 16 KB RAM expansion. 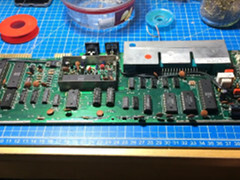 Thomas Lövskog is working on the GCart cartridge for the Commodore VIC20. 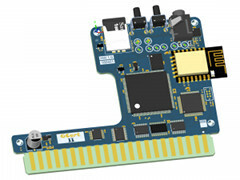 The features are: 16 GB RAM, MCU, LEDs, buttons, µSD and WiFi. 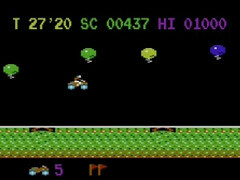 Tokra released a new game for the Commodore VIC20. 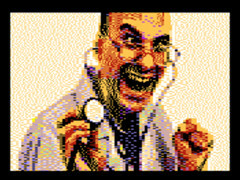 In the game you are Dr. Ultra and you must remove kidney-stones with your ultrasonic-laser. The game was made in 48 hours during the Global Game Jam 2018. Pyrotech is a new game for the Commodore VIC20. 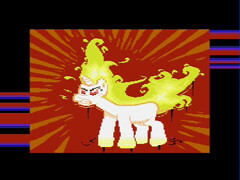 The game is developed by FG Soft. 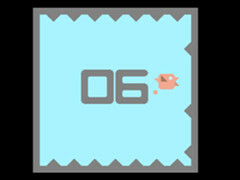 In the game you must collect all items and avoid the enemies, but watch the timer. 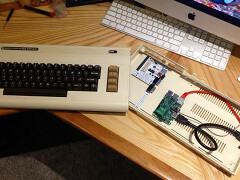 Jagged Path made a modern version of the Commodore VIC-20 with the help of a Raspberry Pi and the Keyrah keyboard and joystick adapter. 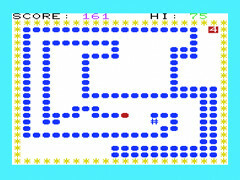 Kweepa made a Commodore VIC20 version of the Classic Spectrum game Manic Miner. You can play the game on a un-expanded VIC20 and the game has 4 levels. 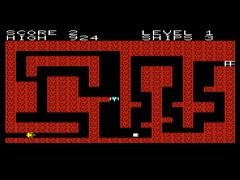 Exit Plan Z II (Channel Z) is a new game for the Commodore VIC20. The game is developed by R'zo. In the game you must avoid the zombies, get the key and make your way to the door for the next level. 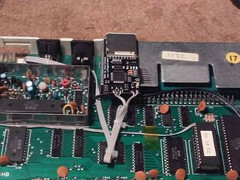 Radical Brad is working on a multimedia expansion for the Commodore VIC-20. Features: No modifications to the VIC-20, VGA 400 x 300 with 4096 colours and a blitter system, 4 channel sound, SD and USB. 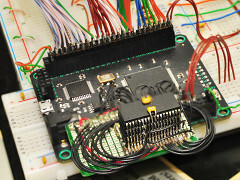 Lance Ewing is exploring the MOS 6561 chip (Video Interface Chip). 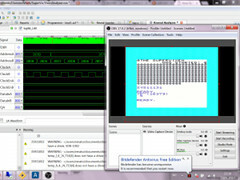 He is working on the Y-decoder and X-decoder logic. 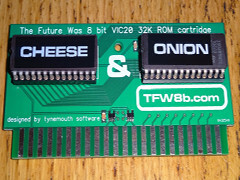 The platform game Cheese & Onion for the Commodore VIC20 will be released on cartridge. 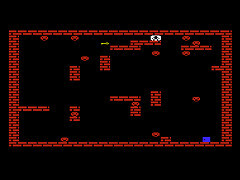 The game is developed by Misfit, The Future Was 8bit and Tynemouth Software. 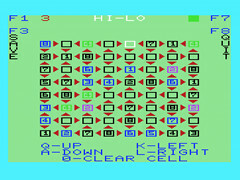 The game is compatible with PAL and NTSC and can be played with a joystick. 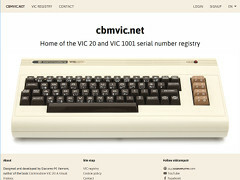 Oldcomputr made a web page where you can register your VIC 20 or VIC 1001. This web page will be used to analyse the existing VIC 20s and VIC 1001s in the world. Floppy Days is an English podcast about Retro computers. 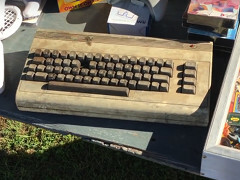 In this episode: The Commodore VIC-20, Part II. 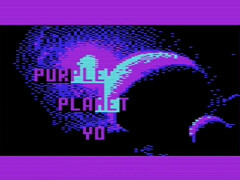 Jeffrey Daniels released two new games for the Commodore VIC-20. 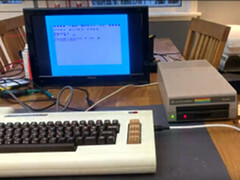 Both games are written in Basic and can be played on a unexpanded VIC-20. In the game "It Came from the Grave" you must find the key and escape through the gate without touching a hidden danger. 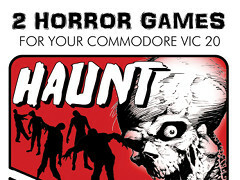 In the game "Haunt" you must fight with the zombies. 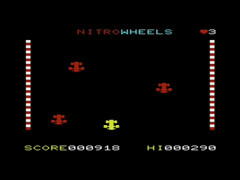 NitroWheels is a new game for the Commodore VIC20, developed by Enrico Bruttomesso. 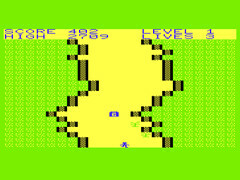 The game is a racing game and can be played on a unexpanded Commodore VIC20. There is a new version of WimBASIC available. 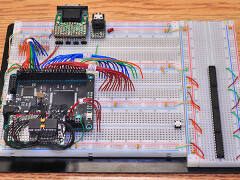 WimBASIC is a BASIC extension for the Commodore VIC-20. The program is loaded in BLK5 of a RAM memory expansion or you can use a ROM cartridge. The changes in this version are: Improvements for PRINT USING and CMD. 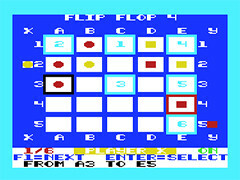 Flip Flop 4 is a new game for the Commodore VIC20 developed by vicist. The game is a 2-player strategy game in which you need to connect four pieces of your colour in a row by moving / jumping them around the board. Jan Beta made a video about improving the life span of the Commodore VIC20. This includes recapping and heatsinking the chips. 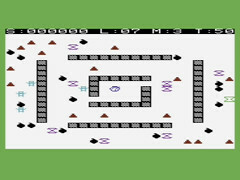 Linzino released the Commodore VIC20 version of the open source multi-system 8-bit game Cross Chase which supports most 8-bit computers. In the game you are chased by enemies and you can kill them by luring them into the mines. 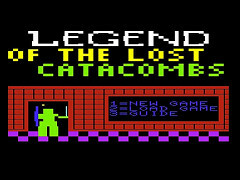 Legend of the Lost Catacombs is a new game for the Commodore VIC20. The game is made by Ryan Liston (R'zo) and needs a 24 KiB memory expansion. In the game you must find your way through the dark catacombs with only the light of your fairy.